Notably, once a candidate is allotted a particular trade, it cannot be changed on any grounds. The candidates will be selected as airmen in the allotted trade after they successfully complete all the stages of training. Notably, once a candidate is allotted a particular trade, it cannot be changed on any grounds. The candidates will receive a stipend of Rs. 14,600/- per month. The initial enrollment period is 20 years which is subject to condition. The enrollment period can be extended up to the age of 57 years (subject to service conditions). Selected candidates should complete the Joint Basic Phase Training (JBPT) at Basic Training Institute, Belagavi (Karnataka) after which a trade will be allocated to them. Candidates have to attend the trade-related training for a specified duration, including the Security training. Notably, at any point of time, the training is liable to be terminated in case the trainee does not fit into the required standards in terms of academics, profession, physical fitness and discipline or is found medically unfit. Step 3: You will be directed to a new page. Step 4: Log-in using the relevant credentials like name, roll number and date of birth. Step 5: Now click the submit button. 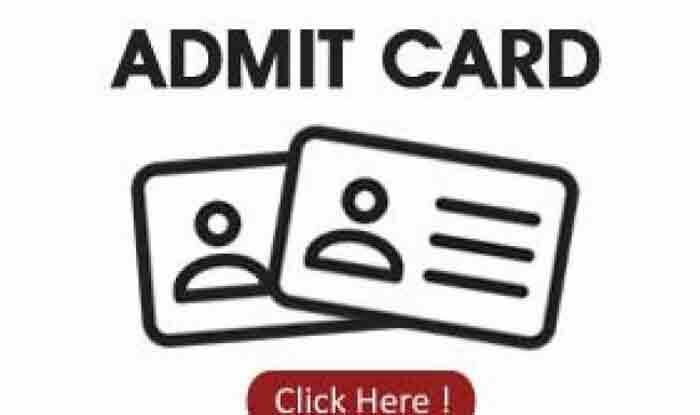 Your Admit Card will appear on the screen. Step 6: Check the details and download the same for further reference. Candidates must note that the recruitment exam is not conducted for selecting commissioned officers, pilots or navigators. The IAF Airmen (Group X and Y) exam is scheduled to take place from March 14 to 17, 2019. Candidates will be selected for group ‘X’ trades (Except Education Instructor trade) and Group ‘Y’ trades (Except Automobile Technician, GTI, IAF (P), IAF(S) and Musician Trades).